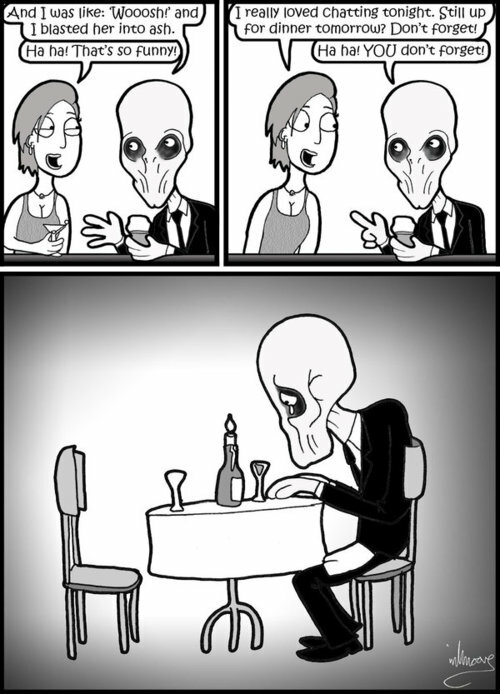 This week on the lighter side of Doctor Who, we have a short little comic featuring one of The Silence. For a villain that can be so scary, The Silence can be the subject of some pretty good comedy right. At least, I feel like I find something funny. I can’t remember what though… Oh, look! A Doctor Who comic!